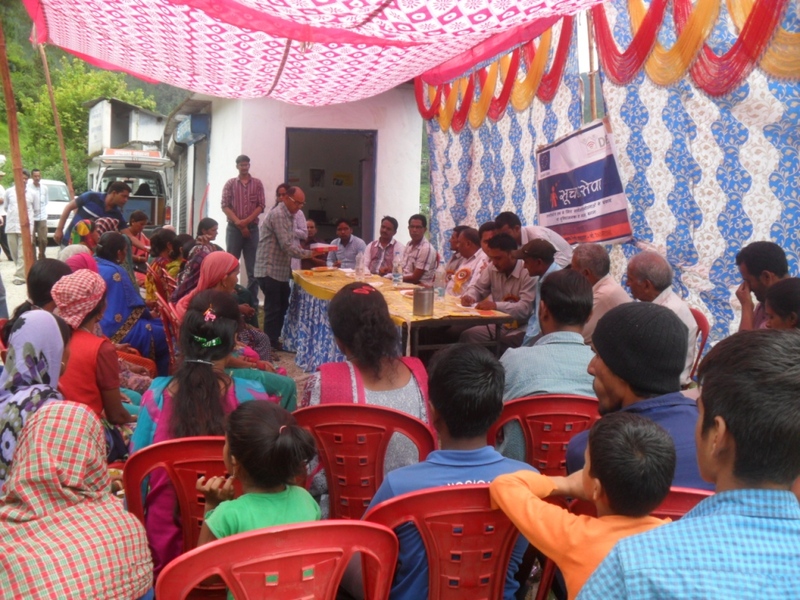 On August 8, 2016, a Soochna Seva Kendra was inaugurated at Shivpuri village of Bhilangana block in Tehri Garhwal district of Uttrakhand with the support of Oracle and CAIF. The centre was inaugurated by the Block Head of Bhilangana, Shri Vijay Ghunshola. Also present on the occasion were Block Development Officer Shri Bijendra Prasad, besides the Additional Development Officer, Gram Pradhans and District Magistrate Shri Brijesh Kumar. Kumar apprised the community members of the activities and services rolled out by Soochna Seva; and the digital literacy offered by the centres. He also appealed to the community to adopt digital tools and technology to move with time. Assuring every one of his continued support, he and the Gram Pradhans wished luck to the community and the Soochna Seva staff.